You need to have the very best compelling title for your books. Right? 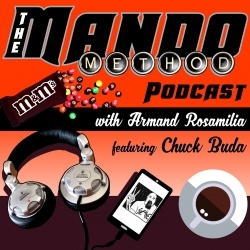 The Mando Method Podcast co-hosts Armand Rosamilia and Chuck Buda give you their answers to this imposing question and so much more in another death-defying episode. The Mando Method Podcast co-hosts Armand Rosamilia and Chuck Buda set several goals in the beginning of 2018. How good or bad did they do so far? Find out by actually listening to the episode. I can't do everything for you. The General Data Protection Regulation (GDPR) is upon us. I had to look up what it actually stood for. But what does it mean for authors and publishers and those with mailing lists?